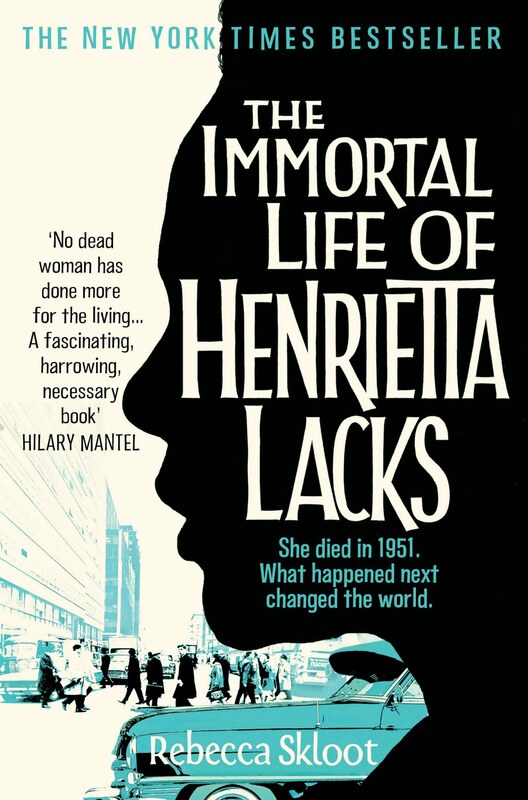 I've just finished reading Rebecca Skloot's The Immortal Life of Henrietta Lacks which I found fascinating, disturbing and utterly compelling. It's the story of how human tissue research and many of the medicines we have today are pretty much all down to one woman and her cells. Specifically, her cancer cells, which were the first cells to be grown in culture successfully, leading to masses of medical research. Cells which are still grown and used for research today. These cells were taken without her consent in the 1950's and Skloot leads us through the murky past of medical research admirably. Thanks to Henrietta Lacks, scientists were able to invent a Polio vaccination and her cells have been instrumental in many, many other medicines used to treat all kinds of diseases, including cancer. 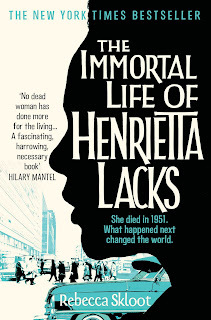 HeLa cells (Henrietta's cells) have contributed more to modern medicine than any other person in the world and yet she is largely unknown. A travesty, surely? But, for me, one of the most interesting aspects of the book is the bio-ethics debate that still rages on. It's frightening to know that any blood samples I have given can be used, without my express consent, in medical research all over the world. I'm certainly not opposed to scientific research and curing cancer, but I'd sure as hell like to know if part of me (and my DNA) are being used in that way. The human interest part of the book is a good contrast to all the science and legal issues surrounding human tissue research (deftly explained by Skloot and easy to understand for the most part). The Lacks family presents other difficult issues - poverty and racial inequalities in the modern world. A health care system that fails a huge part of the American population. I don't think I have ever read a book that makes me want to tell everyone to read it. Like Henrietta's family, I want everyone to know that Henrietta Lacks is the reason why we have a vaccine for Polio and why cancer research has advanced so much in the last 60 years. I don't know why it should matter so much to me. Perhaps it's a testament to Rebecca Skloot's research, tenacity and writing that it does. I'm back and querying again! Pearl Jam. No more words needed. Brain Food - Unclaimed Babies, Violent Rabbits and a Dead Monkey! Share book reviews and ratings with Gabby, and even join a book club on Goodreads.